As Season Two of MTV’s Catfish is now underway, it’s likely that you may think that online dating is a little “off.” Hopefully this article and these statistics will change your mind. Of more than 19,000 couples who married between 2005 and 2012, 35 percent originally met online, according to a study conducted by the market research firm IBISWorld (and funded by eHarmony). The research found that couples who met online were less likely to divorce and experienced higher levels of marital satisfaction. 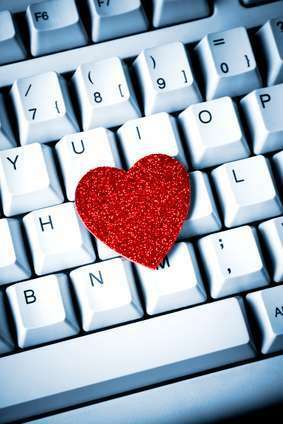 For some people, online dating websites are spaces to set the past right again and erase relationship mistakes. It’s a space where people want to appear as perfect as possible, from a Photoshopped portrait to a falsely crafted profile. Unfortunately, the disparity between an online dater’s perfect self and the real self is often so gaping that in-person dates can be disastrous, as you can read from some of our Peril of the Week stories or in my bestselling book, The Perils of Cyber-Dating. Whether or not someone will live up to who they seem to be online is a gamble. Prepare yourself to take that chance and never let disappointment shatter your spirit. Fraud and identity theft aren’t the norm, but they happen. Limit how much personal information you share until you know you can trust your potential date. With so many dating sites and pages upon pages of singles’ profiles, it’s easy to maintain high standards and keep a mentality that, “someone better may be out there.” You should never have to settle for someone with whom you don’t have a connection, but focusing on trivial aspects of a person’s profile or appearance will only hinder your quest to find the one. Know your deal breakers?while keeping an open mind. Also, understand that many online daters become addicted to the process and accustomed to easily disposing of people they’ve met. Make it a point not to take rejections personally. You can’t let your self-worth and confidence break down because of strangers over the Internet. Have a friend or family member whom you can trust to look over your profile or allow us to create your Irresistible Profile to help you attract your dream date and to ensure that it accurately represents who you are. Honesty is the best policy, especially in regards to photos.Oprah.com’s “Tips for Successful Online Dating” recommends that online daters keep pictures “recent and real.” Posted pictures should be taken within the last six months and include both a headshot and full-body shot. Also, avoid pictures with props and try not to post pictures taken with other people. At Cyber-Dating Expert, we believe in authenticity from the onset and wish you much love and joy in cyberspace, or wherever you may roam. 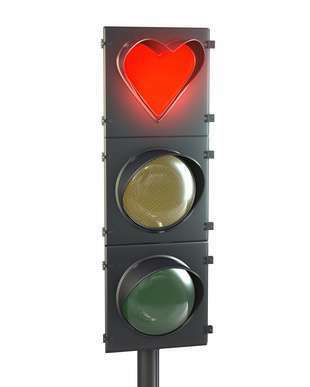 Julie Spira is a top online dating expert and was an early adopter of online dating. She’s the author of the bestseller, The Perils of Cyber-Dating and coaches singles on the dating scene. For more online dating advice,? follow @JulieSpira on Twitter and sign up for the free Weekly Flirt newsletter. Katie Couric’s Play That Online Dating Game? 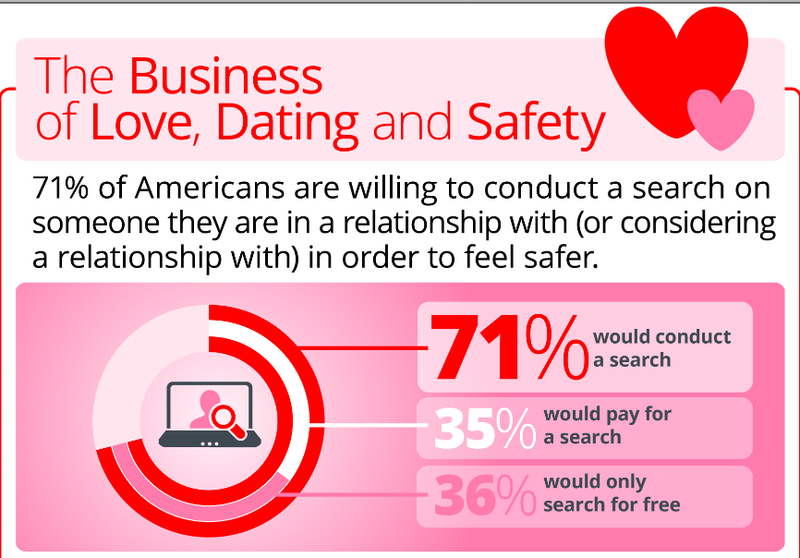 In the continuing coverage of Manti Te’o and other daters who’ve been duped by online dating romance hoaxes, Katie Couric featured an entire episode of online dating safety with tips on what you need to know, while looking for love online. On the Katie Show, we learned that online dating sites get more than 500 million clicks per month. Katie added that and 81% of people lie on their profiles. To add a little entertainment to the serious topic of Internet dating safety, Katie polled her studio audience with three relevant dating deal-breaker questions that most female online daters could relate to. Katie: He’s talk dark and handsome. In real life he’s short and stout. Is that a deal breaker or not? Audience: 69% said Yes. 31% said No. Katie: His profile says his picture was from last week. Reality: It was from 1972. Is that a deal breaker or not? Audience: 71% said Yes. 29% said No. Katie: His profile says, ‘Filthy Rich.” Reality, he’s Dead Broke. Audience: 58% said Yes. 32% said No. 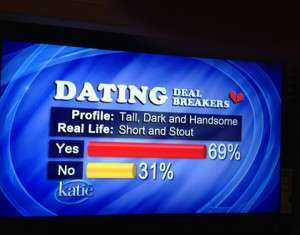 For more online dating safety tips from the Katie show, visit KatieCouric.com. Julie Spira is a top online dating expert and author of the bestseller, The Perils of Cyber-Dating. For more online dating advice,? follow @JulieSpira on Twitter, sign up for the Weekly Flirt newsletter and join the conversation at Facebook.com/CyberDatingExpert. 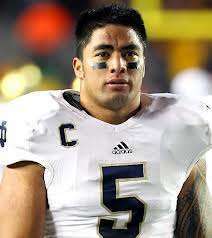 The phone starting ringing early in the evening on January 16th with news stations across the country wanting to know if the Manti’ Te’o story is common on the Internet. “The whole subject of fake profiles or falling in love with someone that doesn’t exist is sort of rampant,” says author and online dating expert Julie Spira. She says some people are easy targets. She also says to google them, make sure their facebook pictures match the ones on the site where you met. And Skype with them. And if you think someone isn’t who they say they are, she says contact the dating site and let them know. 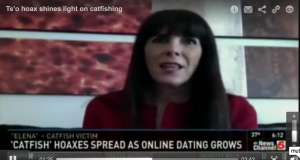 Online Dating: Are You Dating a Catfish?